It’s easy to get swept up in the romance of video marketing. The sight. The sound. The motion. All components working in harmony to tell a compelling story and elicit and emotional response from like-minded consumers. 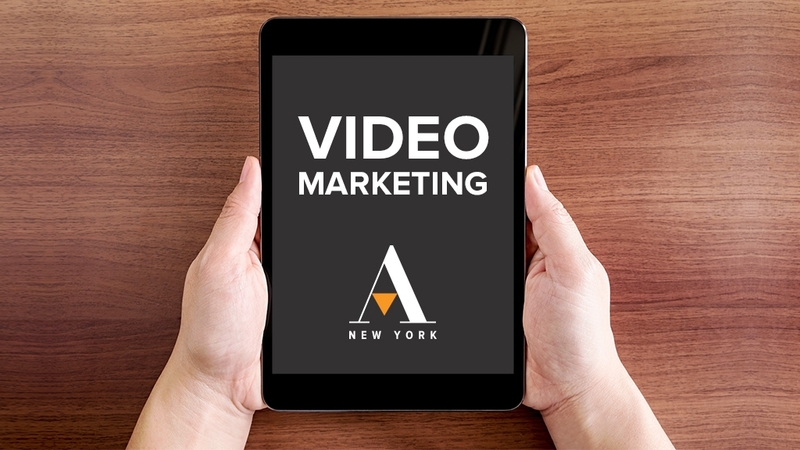 Video marketing is so much more than your traditional branded :15 or :30 second spot. Video is a chameleon, able to amplify any marketing strategy if used thoughtfully. Whether distributed through paid channels like TV or online video or embedded within your website, social media pages or sponsored content articles, video is an effective marketing method. While the value of incorporating video into your marketing mix is undeniable, it’s important to keep your business goals in mind. Let’s look at some common business goals and how video, used strategically, can be a driver in achieving these goals. Generating brand awareness is more than running a branded ad campaign – it’s creating a consistent image of your brand to attract similarly minded people based on not only what the brand can do for them but how the brand makes them feel. Connect with a cause that aligns with your brand identity and core beliefs to attract like-minded consumers. If you’re a local brand, aligning with the local community makes you a local and irreplaceable mainstay. Behind the scenes footage gives consumers an intimate look at your business, providing an all-access glimpse into the inner workings of your factory, offices and day-to-day life. This content gives consumers a gritty, raw and true look of what makes your brand function. Unique brand differences are what make your brand a better option among the competition, but a cluttered and confusing marketplace often makes it difficult to communicate these points of differentiation. Video provides an engaging long form format to communicate your complex story and what sets your brand apart from the rest. Showcase your brand experience with video content that puts consumers in your space. Campus tours, sizzle reels for a tourist location, interviews with your compassionate customer service team or a test drive with your best salesperson highlights why consumers should pick you. Testimonials showcase positive consumer experiences with your brand and put potential customers at ease knowing that someone else has navigated the waters and had an experience worth bragging about. Today “fake news” is an everyday term. Consumers often don’t know where to look for reliable sources and often feel intense loyalty towards those providing credible information. Video is a trustworthy medium enabling brands to convey vital information and become trusted category thought-leaders. Roundtable discussions around industry trends make you an active participant in the conversation around your category. An invitation to a roundtable also implies that your brand is a thought leader in the space with an opinion that matters. Case studies show that your brand is not a flash in the pan. You’ve helped others succeed and can do the same for potential customers.